“I could never do that“ is something that you hear people say, when they see someone doing their thing. But what is hidden behind that phrase? It might be true that one is not able to do certain things at that moment. Obviously it’s not a good idea taking a 15-meter jump on a snowboard, after you just learned to do a turn. Riding downhill in high speed with a longboard might also not be the best choice on the day buying your first. Maybe you should not go for full splits in your first yoga class. But this is all temporary. Everyone that is doing such things has practiced doing those things. You do something over and over again and by that you widen your comfort zone. Going down a hill at full speed doesn‘t feel that risky, when you feel safe on your board. After all it is all about your comfort zone. The next step is to understand what you do. If I shift my weight in this way, then my board does this, after all it is just physics. Once you understand what you are doing it is not that frightening anymore, because you can trust yourself. Especially when you practice things with others you get the chance to reflect on what you do. By exchanging thoughts and describing your experience you deepen the knowledge about your actions. Maybe you even get a useful advice by a friend that supports your learning process. Through all of that time spent on Doing, Understanding and Describing you will for sure Evolve your skills over time. It is not about becoming a professional athlete, musician or artist. Love what you do and do it with passion for a long time. Only if you really love playing the guitar you will have the motivation to play it for hours. So don‘t call yourself untalented, find something that you really enjoy doing, without thinking about if it fits your self-image in that particular moment. Think about the joy you feel while doing what you love and then do it. and it‘s all up to you. 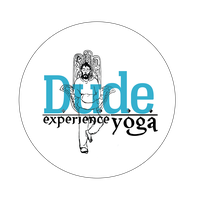 Hey, dude, I'm a huge fan and currently wanting to support our men's yoga community. You can check out the site... I'm just beginning, don't know where it's going, but... well, follow your passion, right? Anyway, I'd like to do a little promoting for you. If you go to the site and hover over "promoting men's Yoga", you'll see Men's Yoga Community. When you go there, you'll see me and the Yogi I promoted last month. May I add you to my page? I do a little artwork and tell people to follow you... Is that cool? 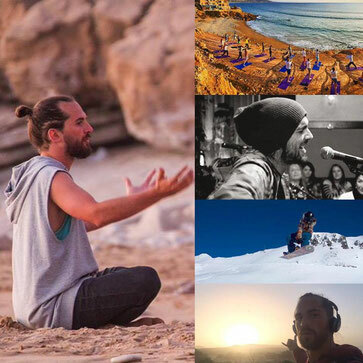 You may email (joe@josephmpowell.com) me or find me on social YogaJo Life. Thank you for the inspiration!